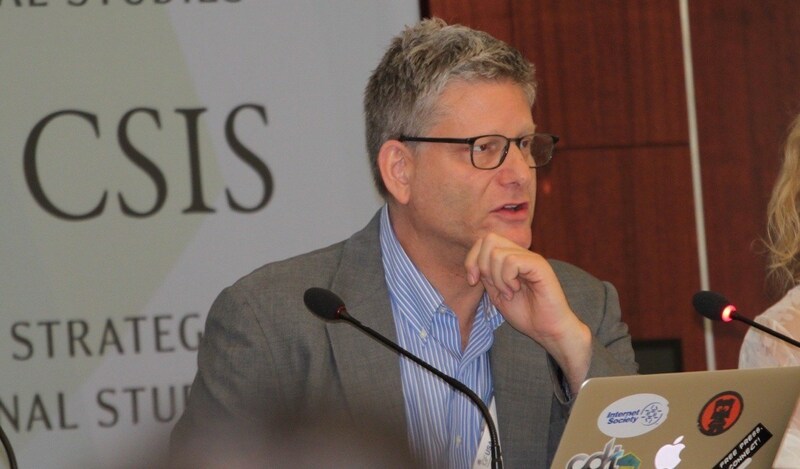 The open internet lost one of its unsung heroes this week, with the passing of David Vyorst, who served as Executive Director of the Washington, DC chapter of the Internet Society and as co-chair of the Internet Governance Forum USA. David wasn’t well known outside of certain geek circles, but his impact as a fighter for free speech, online privacy, and democratic governance was immeasurable. The thousands of people who assisted, attended and presented at the events he organized over the past decade include virtually every major thinker, builder, policymaker, journalist, entrepreneur, investor, and troublemaker working on internet issues in the Americas, and many from elsewhere around the planet, as well. David not only brought them all together, but helped them find common ground, and provided a platform for them to build, share and amplify an agenda for a more connected, humane, and just world. David’s passion for democratic media was rooted in his experience as a documentary filmmaker, which in turn was based on his personal experiences growing up Jewish in New York City. His film “The First Basket”, which explored the surprisingly central role of Jewish athletes in the rise of basketball and the NBA, received a lot of positive critical attention when it was released in 2008. In person, David was like a puppy dog, and his youthful exuberance and energy belied his 56 years. Whether speaking at a podium in front of a thousand internet policy wonks or crammed behind a table at his favorite DC haunt, Politics and Prose bookstore and café, he was always brimming with new ideas, always hot to discuss the latest news and technological developments, always game to wax poetic or philosophical at a moment’s notice. He especially loved to bring people with differing worldviews together, and after he’d made introductions, was content to lean back and watch the sparks fly. When I moved to Washington in 2015, David was one of the first people I reached out to, and he was instrumental in drawing me into the local internet policy scene. Together, we organized and co-hosted several events, including a panel on fake news and social media algorithms at American University during the week of T***p’s inauguration. I believed that these events were just the beginning of a long and fruitful partnership, and when I heard about his passing today, I felt the double pain of losing a lovely friend and an inspiring collaborator. David will be missed sorely by his many, many friends and aquaintances, and the loss of his leadership on internet governance issues leaves a gaping hole in American activism and policy. Let’s honor his memory by working together to keep the internet free, open, accessible, diverse, and friendly.